The Green Room dispensary in Boulder always has a fairly good selection of cannabis varieties, edibles and extracts available to medical patients and recreational users over 21. The Green Room's menu features around a dozen top-shelf strains. 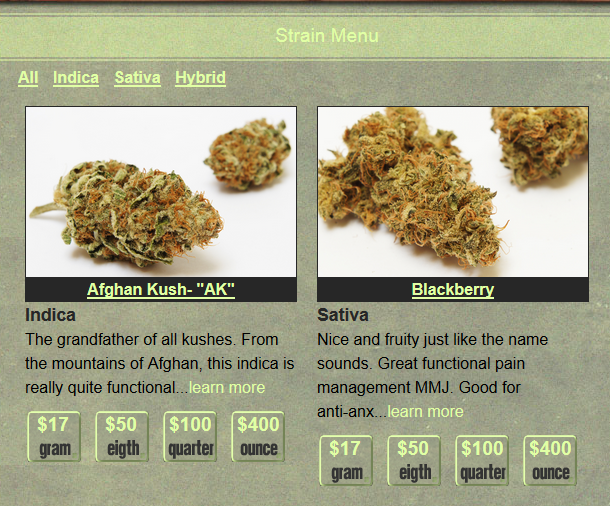 Normally about half the strains on The Green Room dispensary menu are sativa dominant and the other half indica. How much will it cost me to by weed from The Green Room Boulder? If The Green Room doesn't carry what you're looking for you can locate other good Colorado dispensaries here.